Bright ruby garnet color. 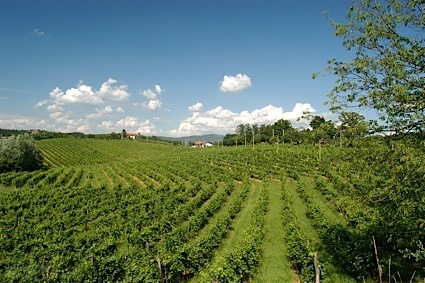 Aromas and flavors of chocolate covered berries and nuts with a supple, bright, dryish medium body and a polished, captivating, cheery finish imparting notes of marinated beets, roasted nuts, dried sour cherries, and hint of spinach. A delightfully savory and piquant red that will cover a lot of bases. Bottom Line: A delightfully savory and piquant red that will cover a lot of bases. 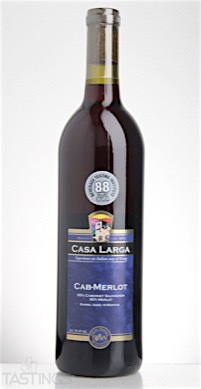 Casa Larga NV Cab-Merlot, Finger Lakes rating was calculated by tastings.com to be 90 points out of 100 on 8/8/2016. Please note that MSRP may have changed since the date of our review.